If your child is reluctant or refusing to go to school it may stir up complicated feelings – often concern but also frustration and anger (“I am in a rush”, “You just have to do these things!”, “I don’t want to go to work either!”). In the moment, it might be hard to think beyond the inconvenience. How you respond will depend on many factors, such as the age of your child, whether they seem ill and how you feel about their school. For some children there is a significant emotional aspect to their school refusal (as opposed to physical illness), & they may be staying at home with their parents’ knowledge. There are three peaks in time when school attendance falls – on starting primary school at 4-5 years old, at the transition to secondary school at 11-12 and also in the mid-teens, when refusing to attend is more ‘successful’. It is normal for there to be times of difficulty in managing the complex academic and social demands of school: after a long break, the beginning of a new school year is often tricky & other times of transition can also be more challenging. Just like a toddler clinging to our legs or hiding behind us when meeting a new person or in a playgroup, there are times which feel just too hard, and the child or young person feels a need to cling to their secure, safe people or things, which can mean staying at home. Why might it be happening? When you are thinking about your child’s refusal or anxiety about school, an important consideration is: are they fearful of something about (or at) school, or is it more a reluctance to leave home? In the latter situation, you might spot that separating from family at weekends seems equally hard. Often the child or young person may not fully understand this themselves. They feel anxious, panicky and / or miserable and may struggle to sleep before school days, yet be happier during holidays and at weekends. It is common, particularly in younger children, for anxiety to manifest as tummy aches, headaches or feeling sick. These feelings are usually real, unpleasant sensations rather than being made up, but are often due to conflicting or overwhelming emotions that are turned into physical experiences, without the child being aware of this. Consider the school environment that your child is experiencing. Is there something frightening, such as being bullied, a teacher they find scary or no-one to sit with at lunch? Are they expecting a lesson that may make them feel embarrassed or ashamed? Have they forgotten or failed to complete some homework or fear failing an exam? The school environment may already be familiar and structured and sometimes be interesting and fun. It can also be boring, irrelevant, noisy, crowded, intimidating, socially complicated and cruel, competitive. 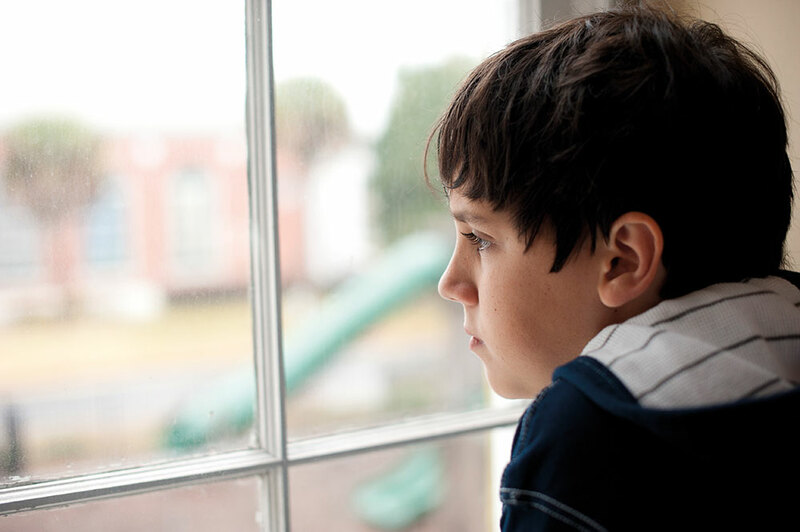 At home they are an individual but they may feel overlooked and invisible in school. There may be something unacceptable going on at school that needs to be addressed before the child can return. Whilst it may feel embarrassing, most children and young people welcome a parent or other adults taking charge when the situation feels overwhelming. The experience of being thought about and taken seriously is incredibly important. Even if the school environment appears reasonable, without anything extreme happening, the experience for a particular child may feel quite different. Some people are more sensitive than others. For example, many of those on the autistic spectrum also have sensory sensitivities and may require ear defenders to cope with busy times or to arrive at school after the school day has settled. The ups and downs of friendships and the desire to be accepted and fit in can feel intensely troubling; some personalities will be more robust and resilient than others. whether they can manage. It is helpful to remember that how the child or young person feels, their experience in their mind or ‘inner world’ may be quite different to what seems to have actually happened. Past experiences, even very early ones they can’t remember as memories, can affect how they respond and feel. The current issue can trigger previous traumatic memories. If this is the case it is helpful to have some counselling or psychotherapy, space to explore and reflect, to be curious about what’s going on with another interested person. The young person may also benefit from seeing their GP who might refer them for further help. Sometimes a refusal to go to school is not linked to difficulties in the school environment but more to do with the people who are being left behind when a child is at school. The child or young person might be worried about a parent or other family member who has been ill and may feel needed at home to help / offer comfort, or they may feel they need to be home in order to moderate conflict. They may have picked up on the worries of other family members who may feel the world is a scary place. These fears can be communicated unconsciously, without words. School refusal can reflect separation anxiety rather than fear of school. Think about other points of separation – starting nursery, going on sleepovers – were they difficult too? Are there other difficult things happening in the family now? Whilst older children and teens can appear very independent and capable much of the time, they are likely to regress and seem like much younger, needier children when anxious. If you can allow them to have the care they currently are in need of, they are likely to return to their more capable selves quicker. You may be concerned that allowing them to stay home is a slippery slope that will lead to further school refusal, but as an initial response to their anxiety, whilst trying to resolve the situation, allowing them some days off school may be necessary. However, it is important to make sure that they then return to their school environment as soon as possible. Nowadays social media plays an important role for young people and from around year 5 many have mobile phones. There can be many positives, such as keeping in touch and acts of kindness online. However, the amount of perfection that is now socially expected can inhibit and contribute to school refusal. Find a way to communicate with your child about what they are experiencing, good and bad, and try to be open minded and put yourself in their shoes. Reinforce that they can be themselves, & can try hard but they are not aiming for perfection or conformity. Try to model this! Giving your child a top-up of understanding, love and calm confidence in their ability to cope is often enough for them to again take a step into the wider world and get back to school. If there has been acute anxiety or panic then, in the midst of that, it is really hard to think and talk. Once you are both calmer, talk with your child. Sometimes they will be too embarrassed or ashamed to say what is really happening. Fairly often they won’t know what they are scared of and why they can’t face school. They may only be aware of intense stress and anxiety and a huge desire to avoid feeling this way and avoid whatever triggers the feelings. In helping you and them make sense of the situation, you will know your child and know whether they’ve always struggled with school or whether this is very out of character for them. Try to piece together what part of the journey to school or the school day is or has been stressful. Is this because something bad is happening at school? Because they are generally anxious or down? Or because they feel a need to remain in the safety of home with family? Try to think with your child and, with younger kids, think for them, rather than just insist on school attendance. Everyone needs to be heard, thought about and held in heart and mind. Parents are always in a position of having to provide tough love – boundaries and limits within an accepting and nurturing relationship. Try and find a balance between concern and wanting to protect your child, with firm encouragement that says “I know you’ll be fine and can manage this”. How to respond will, of course, depend to an extent on whether this is a familiar, persistent pattern and if you know the cause of the problem. We can’t expect a child or young person to go back into an unsafe environment. Going into school and working with the staff to resolve the problem and provide a support system in the school that the child feels able to access is crucial. They will feel more confident if they see the grown-ups working together. Assuming the school environment isn’t unsafe and nothing terrible is happing there, it is helpful to encourage on-going attendance, even if it is not full time or in all lessons. Avoidance behaviour, staying away from school, is a powerful reinforcer of the anxiety; it confirms the perceived threat so that next time the child approaches school they respond with a powerful flight/fight/freeze reaction. They may need a day or two of compassionate listening and looking after, whilst you make a plan together with school and prepare to face the fear. However, too long away will be unhelpful. The fear needs to be tackled step by step, in manageable steps, with support, understanding and patience. Firmness and confidence as a parent is necessary as it will be hard for the child / young person to face and overcome fear – your belief in them and the process is needed. 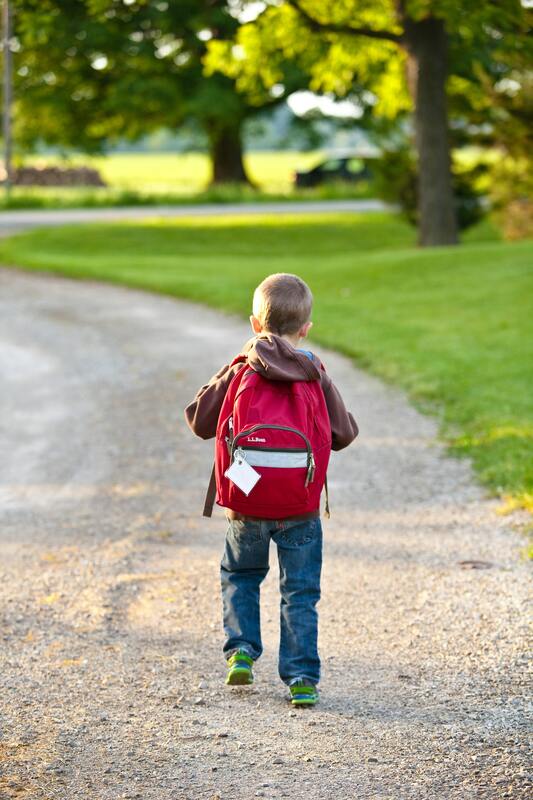 When planning your child’s return to school, it’s really important to do this in a way that is won’t overwhelm the child and produce a panic attack. They should be involved and have a sense of control even though they will have to go through some discomfort and stick with it until the anxiety fades. The task must be broken up into steps which may have to be small and repeated regularly. Once a step is easy, the next step can be attempted, with support. This can seem frustratingly slow but will be more effective than pushing too hard or too quickly and the child or young person retreating and avoiding the task. As well as support from parents/carers, think about who, in school, can provide support and help with these steps. A friend meeting a young person to walk in together, going to a trusted support teacher once in school, only attending for a particular lesson or for lunch time – all of these can be part of a gradual reintroduction to school. Make sure that your child knows the plan and has agreed to it. It won’t help to push or trick them into doing more. They need to trust you. Help motivate them with rewards. Encourage activities that calm them, such as music and colouring and use distraction and slow breathing exercises to help them over the initial hurdle. disentangle these feelings, to feel able to tolerate uncomfortable feelings and to allow you to be the parent your child needs.